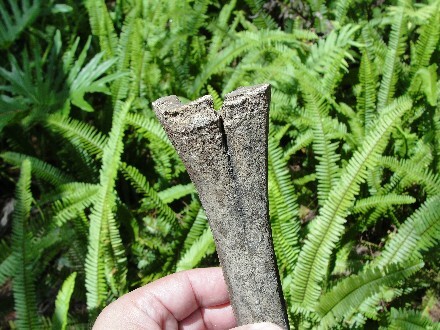 This is an excellent Fossil Juvenile Camel leg bone or cannon bone. 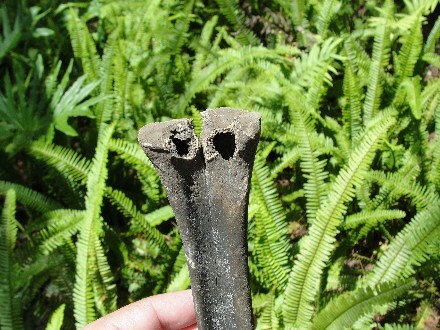 Super nice complete fossil leg bone. 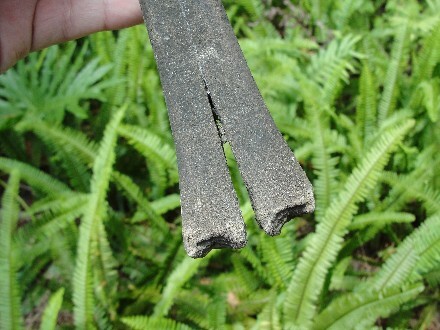 Slight bone erosion on one end, but rock-solid and very mineralized. 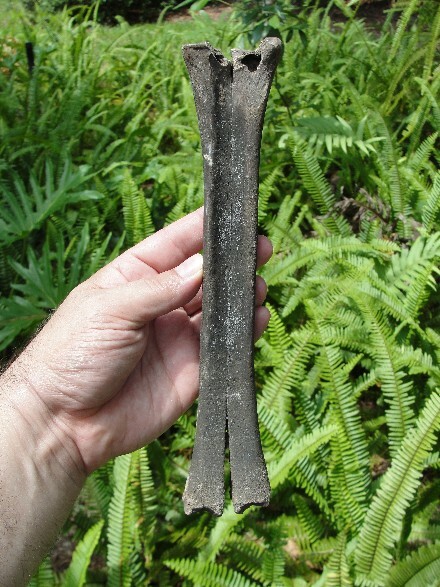 This leg bone is from an Pleistocene Camel Llama, and is often called the "Stout-Legged Llama". 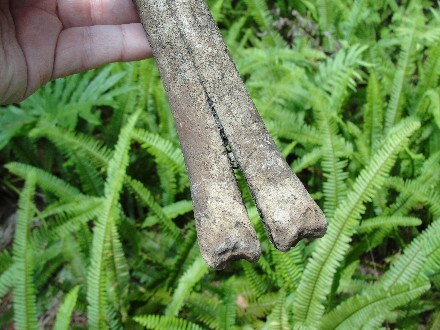 Stunning example of a Pleistocene animal from the Ice Age of Florida. 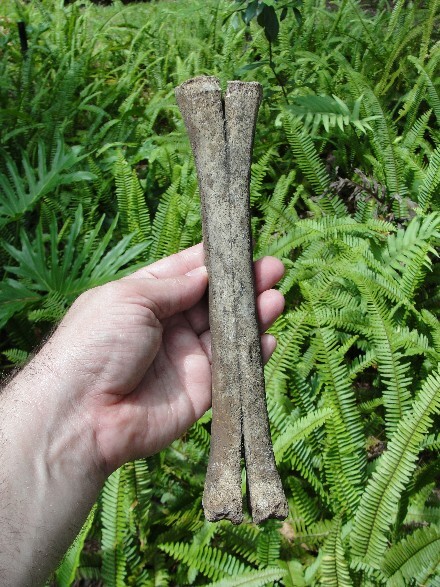 Florida has one of the most abundant assemblages of fossil Camels in the United States. Splendid condition with no repairs or restorations. Actual Specimen Pictured & Guaranteed Authentic.